Asphalt shingles are one of the most popular roof shingle types, but they aren’t the only option out there. Before you go with the default and install asphalt shingles on your home, consider the features and benefits of the many different roof shingle types available in order to make the best decision based off your home and personal preferences. Shingle costs makes a big difference when you are trying to figure out what types of roof shingles to get for your home. Not only do you have to consider what the initial cost of the roofing material is going to be, but you also have to think about how long that roofing is going to last as well. If you only have $10,000 to spend on your roof, you likely won’t be getting a new slate or copper roof put on, unless of course you have a very tiny home. Start with your budget for roofing supplies and then talk with roofers to find out what you can really afford. Even though 3-Tab asphalt shingles are the cheapest option available, it doesn’t mean that’s what you should go with on your home. There are plenty of different roof shingle type options to consider. Before you decide to go with slate or cedar shingles make sure that you think about whether these materials are available in your area and if you can find someone to complete the roof installation for you. While you should be able to find a roofer that knows how to install asphalt shingles in nearly any part of the country, cedar shake and slate roofing is more difficult to put in and offered by fewer contractors. Start deciding on the roofing that you want to go with by talking with local roofers and asking about the options that they offer. This gives you a baseline to work from and should help you narrow down your options. Solar shingles are one of the most modern types of roof shingles sold today. They’re very expensive compared to other roofing options but they aren’t there just to keep water out of your home. These shingles are also designed to generate electricity to power your home. 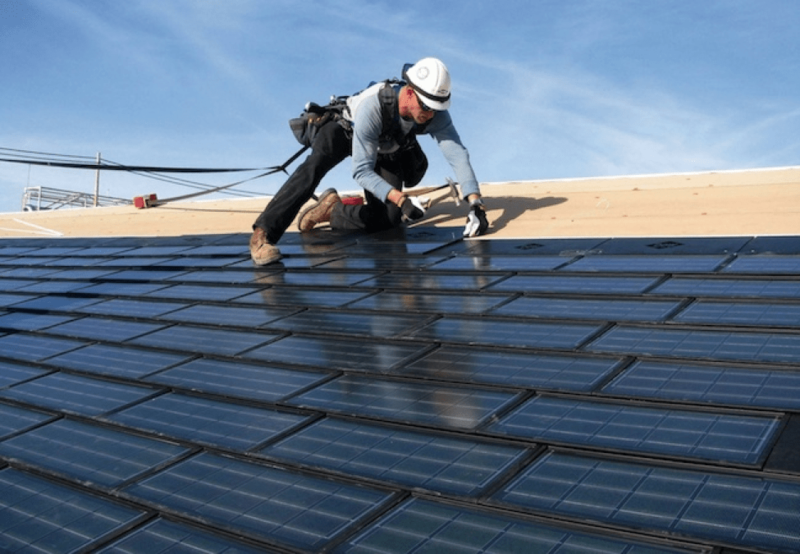 Solar shingles are pleasing in appearance, but you won’t want to install them all over your roof so they will have to be installed alongside another type of roofing. Solar shingles only function optimally on the south side of a roof, and that’s where they should be installed if at all possible. Eastern and western exposures are possible too, but they won’t be as efficient. Asphalt shingles are the most common type available today and they are sold in 3-tab and architectural styles. 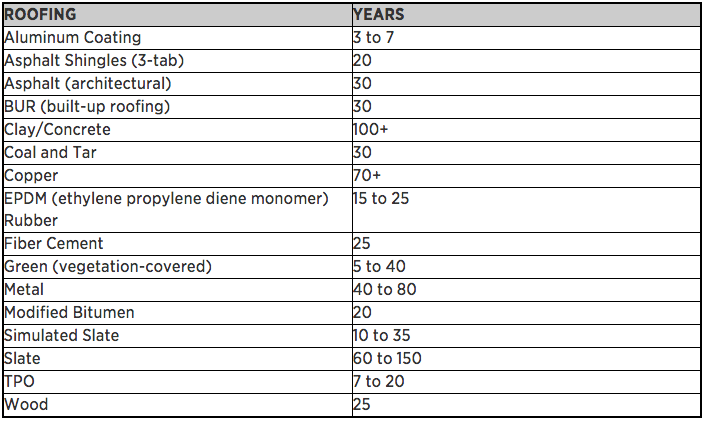 The 3-tab option is the most affordable but these shingles are thinner and wear out more quickly. Architectural shingles are more durable and often more pleasing to look at. They are more expensive but last up to twice as long as the 3-tab shingles do. Metal shingles are stylish in appearance and there are many different color options available to pick from. These shingles go on relatively easily and they are very lightweight, making them a good option for homes with a roof system that simply can’t support heavier options. Wooden shingles are composed from several different types of wood that are split into thin sections. The shingles can last anywhere from 15 to 50 years depending on the type of wood that’s used and how it is treated before being installed on the home. Cedar shingles are the most common type of wooden shingle, but they are not the only option. For instance treated white pine was used as a type of roofing for years. The shingles are susceptible to fire and more expensive than other shingle options sold today without offering much more in the way of durability. Slate is a type of stone that’s always installed as a shingle. 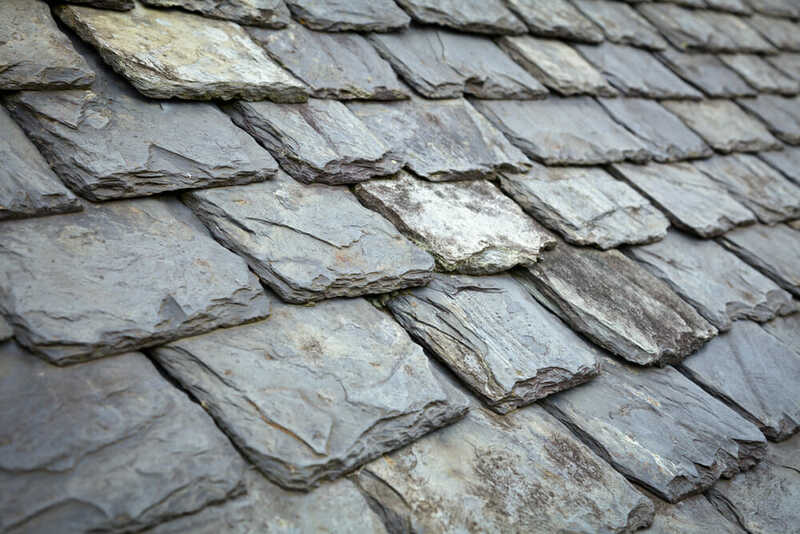 Slate shingles are thin but very heavy when the whole roof is made out of them. Slate has a natural beauty to it that many people appreciate, but you only get one look when opting for slate. The shingles are difficult to install but when done properly they will give you one of the longest-lasting roof options available. They are also very expensive, but that doesn’t mean that slate isn’t a good option. Many people decide they are worth the money since they will last more than a lifetime. Fiberglass shingles are actually a type of Asphalt shingle that’s backed by fiberglass for enhanced durability and affordability. They’re generally lower cost than traditional asphalt shingles, and they do just as good of a job. These shingles can actually last longer than traditional asphalt shingles but are relatively new to the market. Rubber roofing is a unique product and when the rubber is formed into shingles it looks very similar to asphalt shingles that are used on so many homes today. The product is simple to install and doesn’t require much maintenance, but it is a bit more expensive than asphalt shingles are. Wood shake shingles are typically composed of cedar and they’re created from cedar trees that are between 200 and 300 years old. To make the shingles, logs are split into sections known as shakes. This is what gives the shingles that characteristic rough look. The shingles are known for lasting longer than asphalt shingles when installed and maintained properly and they have a classy look to them, but they’re very expensive and not environmentally sustainable. Plastic shingles are generally produced from recycled plastic materials. They’re a way to get more life out of plastics and other materials that would simply be tossed out in most instances. The shingles are relatively affordable, but they aren’t as long lasting as most other shingle types. 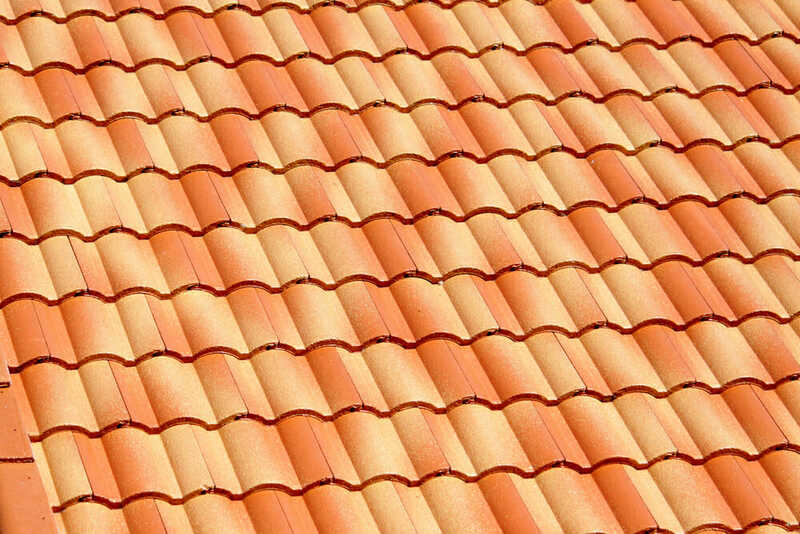 Tile roofing is one of the most durable covering types available, but that’s only the case when the tiles are installed properly. When placed on a mortar bed, the tiles are known to slip off after just a decade or so. Tiles aren’t very expensive to purchase, but the installation will cost you a premium, and you may have to pay to have your roof strengthened to handle the weight of the material before it’s installed. The roofing that you put on your home is going to be a visible and significant aspect of your curb appeal. That’s something that you have to keep in mind when you pick out the types of roof shingles that you want to use. Some shingles like asphalt or architectural are offered in a wide range of colors and looks. Others such as slate or cedar are more uniform. Learn what each option looks like and only consider the ones that you like. Some shingles like rubber shingles are good for the environment, while others such as asphalt have a negative impact. If you’re concerned about the health of the environment you should spend some time thinking about how each of the different shingles will affect it. Think about how the shingles are created and disposed of. Rubber shingles are made largely from recycled materials that would have been tossed into a landfill if they weren’t used as roofing. Metal shingles were likely recycled once already and will be recycled once again once you’re finished using them as roofing for your home. Cedar shingles are very bad for the environment because they can only be made from very old cedar trees that are difficult and time consuming to replace. Solar shingles are an excellent environmental option because they produce power for your home while also protecting it against the elements. These are all large factors to consider when choosing between the different types of roof shingles. To make sure you know how much the roofing is going to cost you to have installed, get in touch with qualified roofers and ask them for estimates. These roofers can give you clear figures so you know how much to expect to spend overall. After you talk with roofers you should be able to come up with a better idea of the types of roof shingles that will work best for your home.